SECRET TRANSMISSION PODCAST PRESENTS: AFTER DARK EPISODE 3 HALLOWEEN SPECIAL 2016 No research, no particular topic.. Rudy, Kristen, and Toby talk about: -Canada Talk.. Yeah yeah... -Halloween costumes -How old is Toby? -What is a fluffer? -What is D.B.J.? -Toby makes more odd observations -Thieves on food products -Cookie Talk -Charlie Zelenoff (The "Undefeated" Boxer) -Periscope Troll -Our Twitter handle gets made fun of... -Halloween Fun Facts -We pick our last meal if we are on death row -We also pick our last words -Plus our Halloween costume update Go support Gray Bear Comics and get their book "Speak No Evil" funded on kickstarter! https://www.kickstarter.com/projects/906293113/speak-no-evil-issue-2 Follow them on Twitter! @graybearcomics Go to their website! http://graybearcomics.com/ Learn some Texas weird stuff and listen to our pals in The TX Files Podcast! Follow them on Twitter! @TX_Files They have a Patreon! Go check it out! https://www.patreon.com/txfiles Go download an episode or 7 on iTunes! Also! Go check out our friends from Parlipod! Follow them on Twitter! @parlipod Go visit their website! http://parliamentpod.wixsite.com/parlipod Their show is on iTunes, or you can tune in every Tuesday and hear them on the Podcast Radio Network (podcastradionetwork.net) at 9PM Est! Our show is also available on the Podcast Radio Network (podcastradionetwork.net) on Sunday's at 10PM Est. 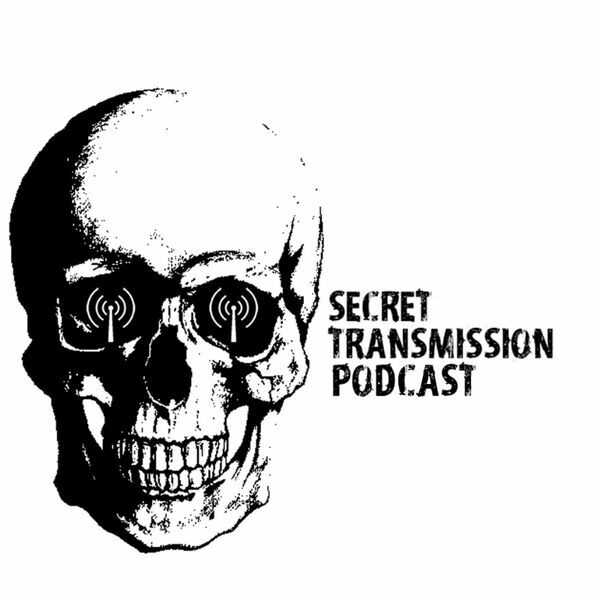 Follow us on Twitter: @secrettranspod Email Us: secrettransmission@hotmail.com Leave us a voicemail! Tell us what you think of previous episodes, tell us what topics that you would like us to cover, or just tell us you love us! Leave us anything! Tell us a story of a weird experience! (304)602-SHHH or (304) 602-7444 Thank you for listening to this edition of Secret Transmission's "After Dark".